Giles specialises in fraud, financial crime and business regulation. 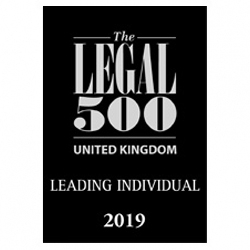 Ranked in Legal 500, Giles is recommended for Business & Regulatory Crime and for Fraud including money laundering and asset forfeiture. Praise includes that Giles: “knows how financial services regulators and financial institutions operate”; and that he “provides clear, practical advice tailored to the client’s needs”. He is described as “an advocate who is able to get grips with the issues and explain them in clear terms”. Instructing clients state: “he continues to be excellent in his field" and is "approachable, knowledgeable, and extremely diligent”. He is credited for "not being fazed by unexpected complications" and to have been "thoroughly reliable". Over the last five years he has acted, both as leading and junior counsel, for individuals involved in: the UK’s largest ever mortgage fraud; National Trading Standards’ most substantial copycat website fraud; one of the defining recycling frauds prosecuted by the Environment Agency; fraud by abuse of position within one of the government’s flagship Academy Trusts; and a substantial fourth sector fraud committed by trustees. In 2015, he was instructed by one of the UK’s major high street banks to advise in respect of a £4 billion review of the mis-selling of derivatives directed by the Financial Conduct Authority. He is appointed to the CPS Specialist Fraud Panel. Giles practices in both civil and criminal fields, having enjoyed success in the High Court and Court of Appeal in cases involving the fundamental principles of res judicata and issue estoppel, as well as the more obscure and archaic doctrines of marshalling and subrogation. His expertise in restraint and confiscation has seen him acting in some of the seminal cases in these fields in recent years. 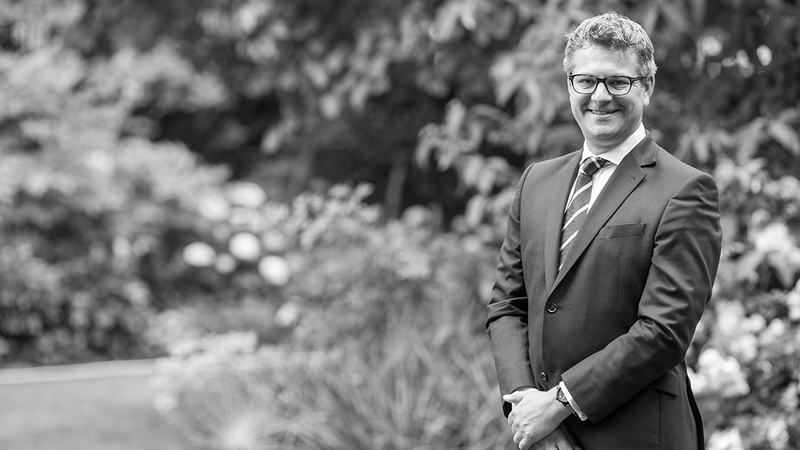 As part of his commercial defence practice, Giles regularly advises and represents individuals before the professional and disciplinary tribunals, and businesses before their regulators. Giles has particular expertise in matters involving the pensions and financial services ombdusmen. Dr Kadiyali Srivatsa v Surrey Healthcare & another:  Giles Bedloe, instructed by Stephen Fairburn of C J Jones LLP, won an important victory in the Court of Appeal concerning the fundamental legal principles of res judicata and issue estoppel. Giles acts for a GP who has sued the Secretary of State for Health and a private medical practice over the loss of his employment after decades of good standing in the medical profession. Having withdrawn employment proceedings in October 2011, the Appellant had issued proceedings in the High Court in April 2012. Although the Respondents had applied for the employment claim to be dismissed in November 2011, the Appellant had objected and the application for dismissal was not in fact determined until October 2014, 2.5 years after the High Court claim had been brought. It was clearly wrong that a claimant should be shut out from any judicial consideration of the merits of his claim when the withdrawal had in substance been a discontinuance not an abandonment, and the dismissal order said to estop the claim had not been made even two years after the claim was issued, let alone at the time is was issued. In the latest instalment in the case Lord Justice Lewison, delivering the judgment of the Court, stated "The judge decided against Dr Srivatsa on the ground that he should have made it clear (either expressly or by necessary implication) that he had it in mind to follow the withdrawal of the ET proceedings by proceedings in the High Court. I do not consider that the burden on [the] claimant was that high.” The judgment may be found via this link. R (SFO) v Kallakis & Williams:  1 Cr. App. R. (S.) 26 UK’s largest mortgage fraud of over £750 million involving a complex overriding lease arrangement in the purchase of commercial property with protagonists benefitting from the bank’s payment of a reverse premium. Culminating in a four month trial, lengthy confiscation proceedings and a review of the sentence to the Court of Appeal by the Attorney General, the case required thorough understanding of and familiarity with over 20,000 pages of evidence. R (HMRC) v Tompkins & others:  HMRC prosecution of a tax fraud allegedly perpetrated by eight defendants through nearly fifty limited companies, involving the farming community in rural Lincolnshire. Represented one of only two defendants acquitted at the conclusion of the 10 week trial at Hull. R (Environment Agency) v Davison & others: [2014 - 2015] Instructed for the second defendant in the prosecution of fraud and environmental offences described by the Environment Agency as the first of its kind. The case involves the operation of reportedly the UK’s largest glass recycling facility in South Yorkshire, and the alleged abuse of the producer responsibility scheme for major packaging waste producers. The business is said to have fraudulently claimed to have reprocessed hundreds of thousands of tonnes of glass waste, selling the government issued and regulated producer responsibility notices which are tradable as a result. Various experts were relied upon by both prosecution and defence. R v Davies:  Representing the financial officer of a leading Academy Trust, one of the flagship academy projects of the Gordon Brown government, in respect of an alleged abuse of position in the embezzlement of public funds by the chief executive. The defendant as CFO of the Trust had control of an annual budget of £30 million, and was said to have been instrumental in facilitating unlawful payments to the chief executive of the Trust and members of his family. R (F A Premier League) v Helidon Vuciterni: [2013 - 2015] Appearing for the defence in a fraud involving the illegal accessing, descrambling and onward dissemination of encrypted satellite broadcast, allegedly earning the Defendant up to £3 million in revenue. Highly technical evidence was heard from expert’s regarding online chat-logs, and satellite decoder/set top box ‘hard’ and ‘soft’ modification, as well as the operation of a server network. Complex confiscation proceedings have followed. L B Lewisham v Matrix & others: [2014 - 2015] Representing London Borough of Lewisham in uncommon enforcement proceedings under the Enterprise Act 2008. The local authority, with particular responsibility for the regulation of business within its boundaries, and for the protection and promotion of consumer interests in the borough, brought a claim for an enforcement order against a lettings and property management agent. R v McDowell:  EWCA Crim 173. Complex confiscation appeal considering the question of the proportionality of the assessment of benefit and its compliance with A1P1 of the European Convention. The Court of Appeal agreed that the assessment of benefit constitutes an immediate interference with an individual’s rights, by setting the benchmark effectively in perpetuity for prosecutorial incursion into property rights. However, the Court refused to draw a distinction between regulatory and other criminal offending, and determined that an arms broker’s negotiation of a deal between international governments was unlawful even where the licence was subsequently granted by the UK government for this activity, and the large part of the broker’s commission was paid months and years after the licence was granted, and much of it extinguished debts and onward liabilities which had been generated during the course of the negotiations. Highbury Pension Fund & another v Zirfin Investments & others:  EWHC 238 (Ch);  3 All E.R. 327. A creditor was entitled to invoke the equitable doctrine of marshalling to claim the benefit of securities held by a doubly-secured creditor even if the two securities did not both come from a debtor if one of the securities derived from a principal for whom the debtor stood surety. NORRIS J said the equitable principle of marshalling operated where a debtor owed money to two creditors, and where the first creditor had security over two properties (S1 and S2) but the second creditor had only security over only one (S1). If the first creditor chose to enforce the security over S2, that left S1 available for the second creditor. But where the first creditor chose to enforce security over S1, then the second creditor had nothing to look to. In that situation, in order to do justice equity applied a principle of maximum distribution and by a process akin to subrogation in effect gave the second creditor the benefit of the first creditor’s unused security over S2. If the first defendant would not be subrogated to the bank’s rights until such time as the bank’s debts had been entirely repaid, then the claimants could not by a process akin to subrogation become entitled to any greater right. Accordingly, the claimants were entitled to participate in the security constituted by the affiliate’s charges when all sums due to the bank secured by those charges had been paid. HSBC interest rate hedging products review:  acting as a seconded consultant in the FCA-led review of the mis-selling of interest rate products to ‘unsophisticated’ business and private clients. Products included swaps, collars, structured collars and knock-in floor structured collars. I participated in the quality assurance team, reviewing the Bank’s determination of consequential loss claims before they were sent to the appointed independent reviewer. The project involved the application of the basic principles of causation, remoteness, foreseeability, and mitigation of loss.